A spring counter-balance for the mill Z-axis by Stan Figora - Millhill Supplies Ltd.
Stan Figora has approached the counter-weighting problem a little differently and come up with a self-contained solution that doesn’t require attachment to the ceiling. 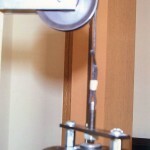 His first “temporary” solution is shown above, where he uses two springs in series attached to a 1/16″ diameter boot lace. 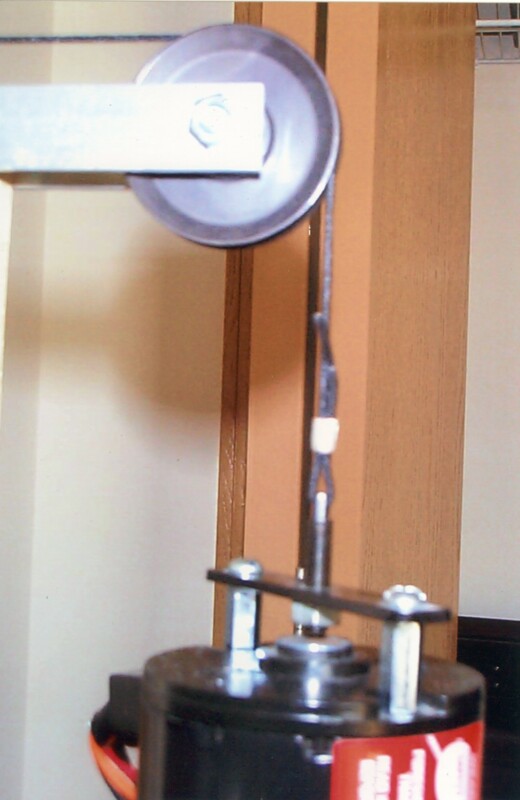 The lace runs over two pulleys attached to a wooden support column and down to a fixture attached to the motor with two standoffs. Stan also noted that McMaster-Carr offers a 1/16″ diameter polyester dial cord would be an upgrade to this solution. Another choice was .035″ nylon coated miniature steel cable (90 pound rating) that was used in some older test equipment, but he decided to keep this one as simple as possible. 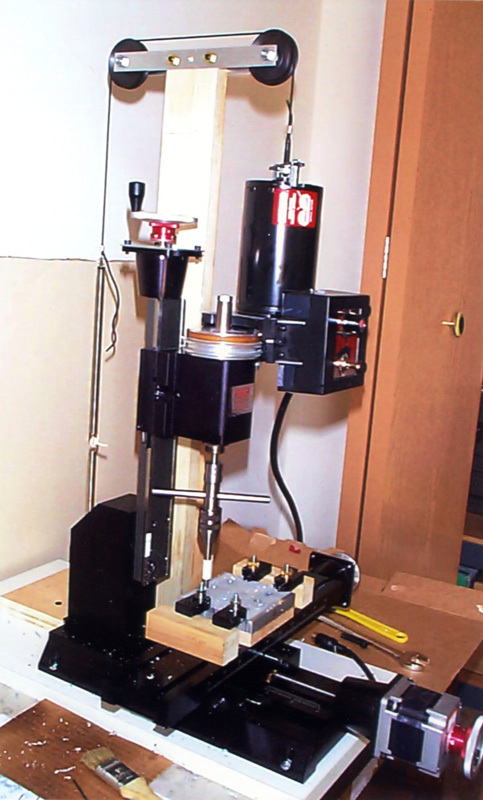 Stan is now working on a more sophisticated weighted system that will feature ball bearing closet door rollers attached between two lead weights. 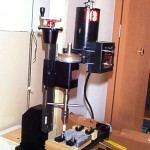 The four rollers within the weight will run up and down guided by two vertical brass rods mounted behind the mill base. If he sends photos, we will included them here.